Plot Outline: A young boy stumbles into a mysterious girl who floats down from the sky. The girl, Sheeta, was chased by pirates, army and government secret agents. 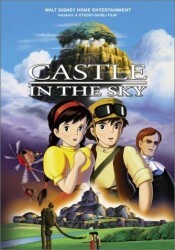 In saving her life, they begin a high flying adventure that goes through all sorts of flying machines, eventually searching for Sheeta's identity in a floating castle of a lost civilization.